Here’s the promised update on how our grapes are doing. This morning we tested the Syrah in Cru Vinsobres because this is always the first parcel to be ready. 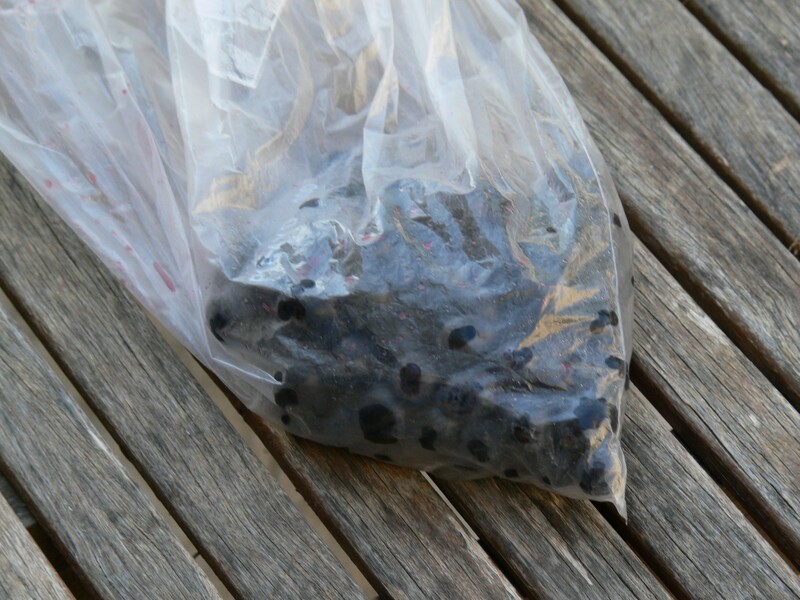 We collected the bag of berries juiced them – wow incredible colour! – and then took a look through the refractometer to see the sugar content which is expressed as the percentage alcohol in the finished wine. Gosh! 13.7° this is really nearly ready. Even in 2009 we were only at 14° by 10 September. I think we are going to be picking this in the next week. We have sent the juice off to the lab to get the full analysis, but subject to the weather we will be starting earlier than we thought. There are some storms forecast for tonight, but at the moment there is no sign of them so we will just need to wait and see what we get. If we do get some storms then that will probably push things back a few days. Another update soon, but in the meantime we will get on with the final preparations in the winery.